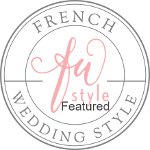 Wedding planning, coordination, and floral design company based in So. CA. Producing fantastic experiences since 2012. On March 13th Shelby of Shelby Danielle Photography and I spent the better part of the day at the Wedding Show Weekend at The Skylinks in Long Beach, CA. It was a Sunday full of fun! We laughed, we joked, and we even got to talk to some awesome couples and vendors. I asked Shelby to share a booth with me. It was my first experience being a vendor at a bridal show, so I didn't know what to expect. The only thing I would have liked to have seen more of was foot traffic. I have a few more bridal shows I would like to participate in this year. They are definitely bigger than golf courses. Although, I feel I will not do too many shows next year. I feel I can give a better experience in a one-on-one environment. Wedding shows are always SO overwhelming. Too much of everything! It messes with the couple's "wedding senses". When I attend bridal shows, I always leave forgetting which vendors I really liked. All the vendors start to mash up and all end up looking the same. As a wedding service provider myself, I prefer meeting my clients in person and building a relationship with them. After all, I am their "Fairy Wedding Godmother" (as I have been called). I have set a goal this year to open an office next year and host my own wedding shows. Even if four couples show up it's better than me spending $100's and not getting the interaction that I truly want to give my future clients. However, I did get some great pictures of the weekend. All the flowers I made even ended up being used on two separate styled engagement shoots. How cool is that?! Check it out below. "Green Wall" courtesy of my loving husband. Thanks Babe for always giving in and helping me on my projects! Receive a free guide that will help you during your planning process! We respect your privacy. Pure Serendipity Events, Inc. does not share your private information. Thank you! You will receive your FREE wedding checklist shortly.